Yay!!! 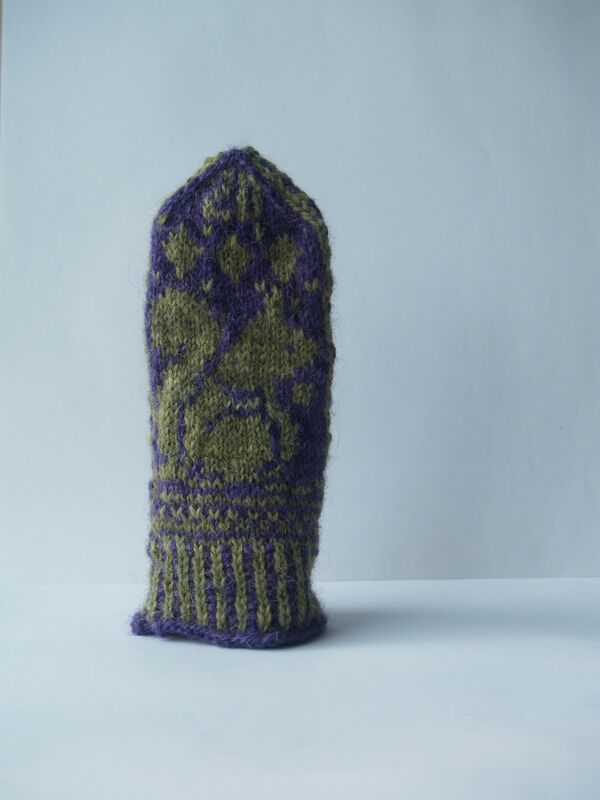 And I suppose you could knit a 2nd of the “too big” mitten and be set for next winter. 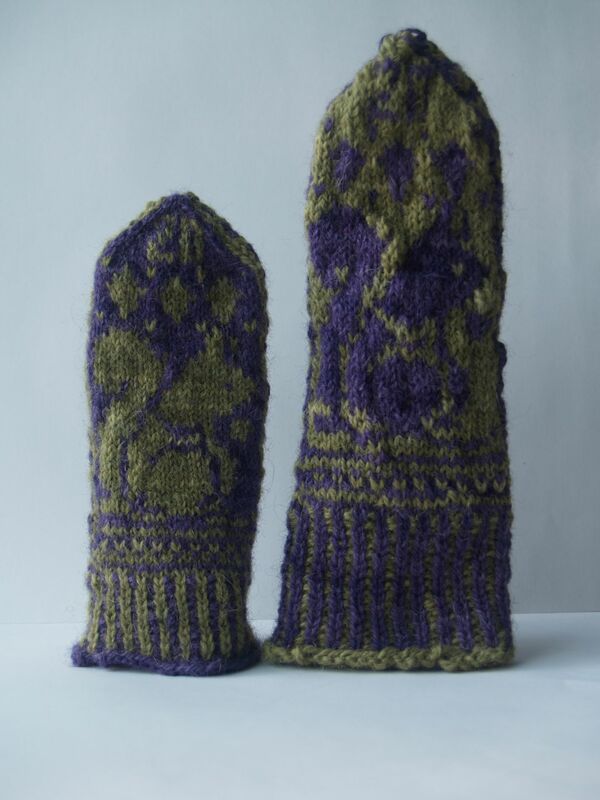 I can’t believe you ended up knitting 3 sizes of mittens…! Purple is my favorite, and lime green is a close second. And how good you are to knit something your 3-year-old loves! All versions turned out adorable! Third time is the charm. Must have been so satisfying seeing Sylvia run around with just the one one. those are really great. 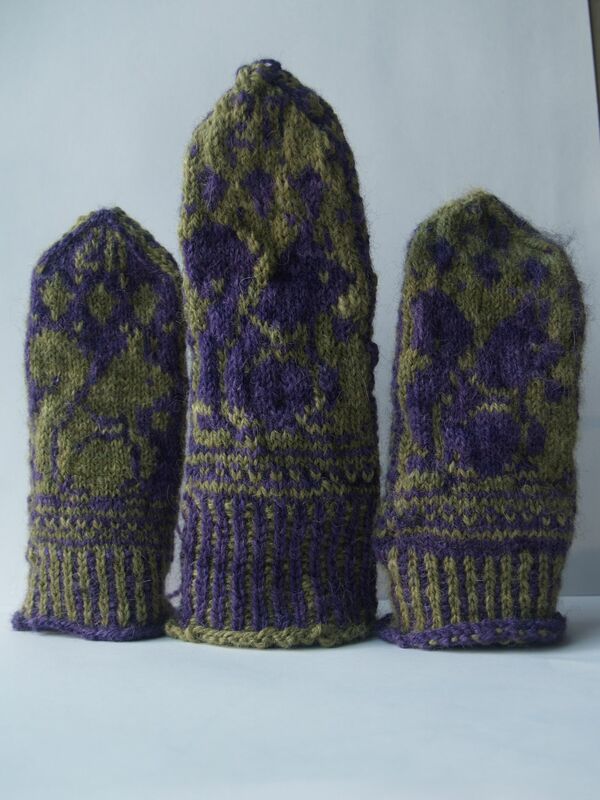 I knitted three Fetchings in purple. Lovely! And that she wears them? Even better! 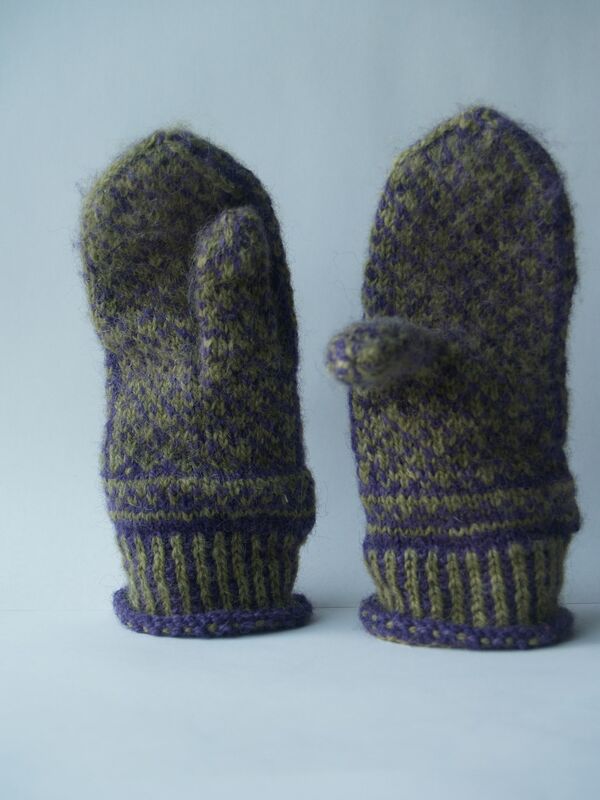 They are the cutest darn mittens I’ve ever seen. Very, Very nice. 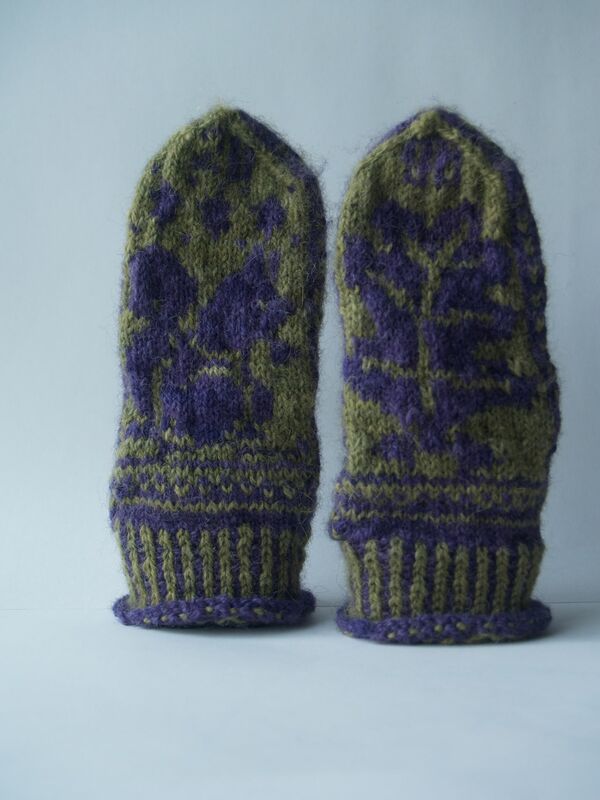 I’m very impressed by the speed of mitten knitting! I wish I could teach the sheep to knit. THey seem to have plenty of time to laze about in the pasture and chew their cud. Beautiful job! Those are great! And bravo to you for the patience to stick with this when it started to go awry.